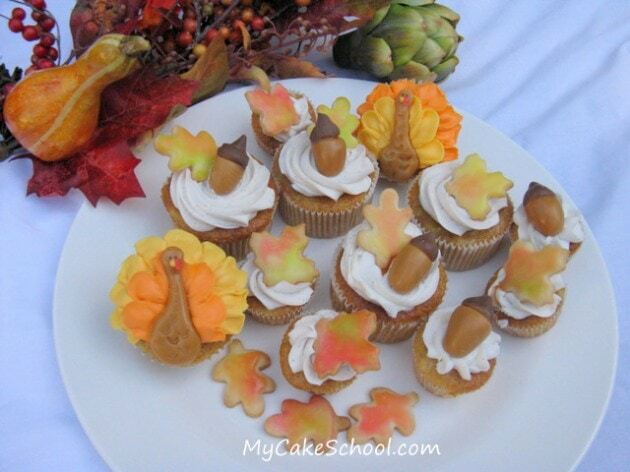 In this free blog tutorial, you will learn to make beautiful Thanksgiving themed cupcakes! 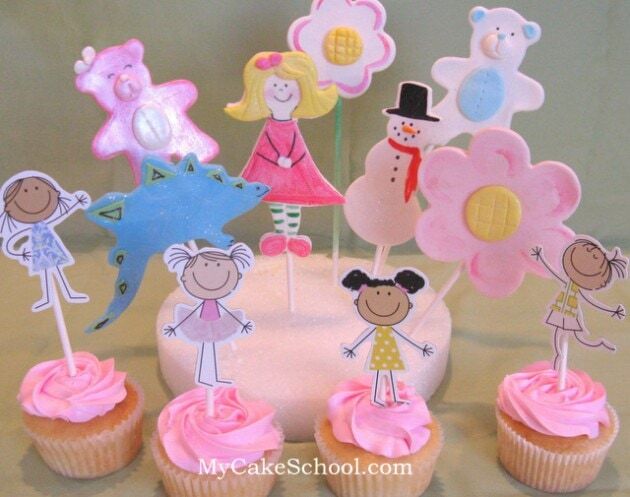 In this blog tutorial, you will learn the basics of creating simple, custom cake toppers! Adorable, quick and easy! 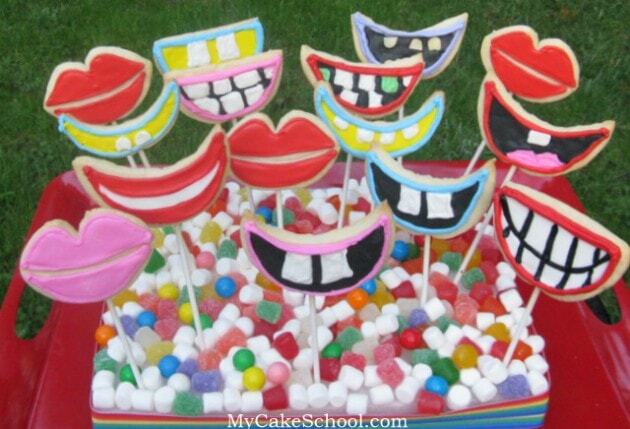 In this blog tutorial, you will learn to create silly “cookie smiles”. These cookies on a stick are sure to be a hit with the kids! 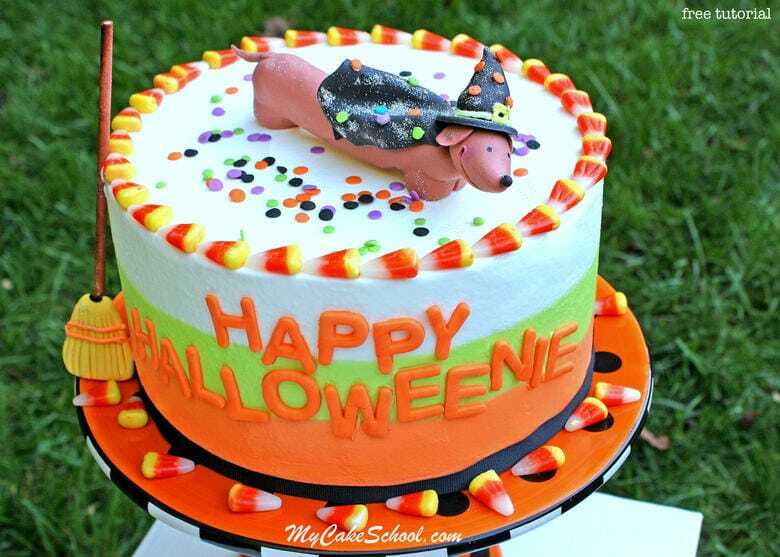 Learn how to create a “Happy Halloweenie” Dog Cake Topper and how to create smooth tri-colored buttercream in this My Cake School cake video! 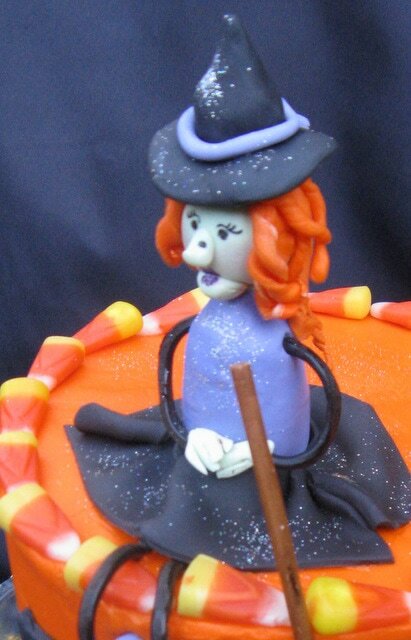 Learn to make the perfect Halloween witch cake topper in this free cake decorating tutorial by My Cake School! 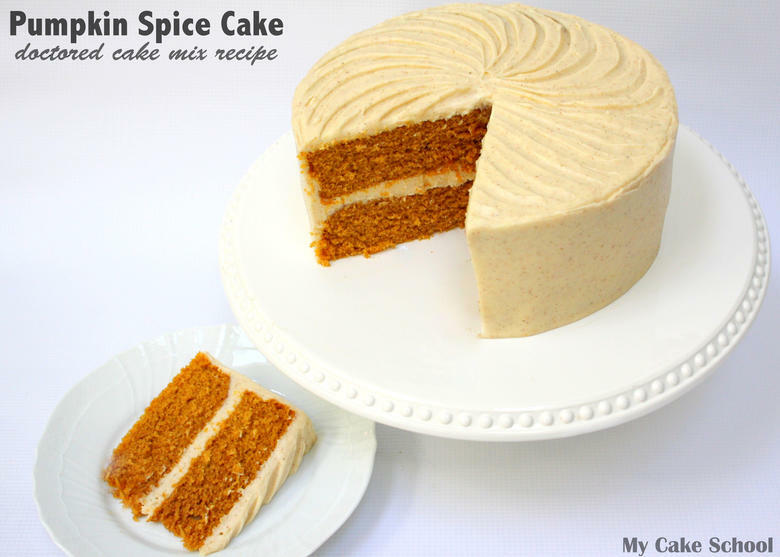 Amazing Pumpkin Spice Cake- Doctored Cake Mix Recipe! 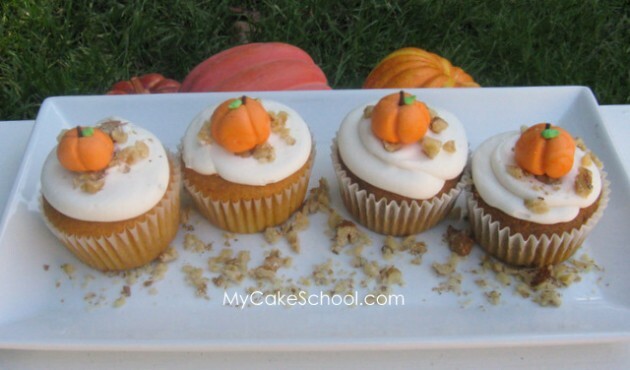 Also, learn to make adorable fondant pumpkin cupcake toppers! MyCakeSchool.com Tutorial. Nobody would guess that this amazingly moist and flavorful Pumpkin Spice Cake & Cupcake recipe starts from a cake mix! 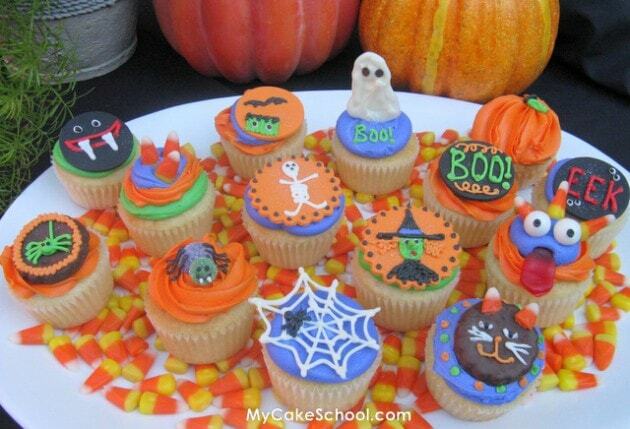 In this cupcake blog tutorial, you will learn several fun designs for Halloween themed cupcakes! 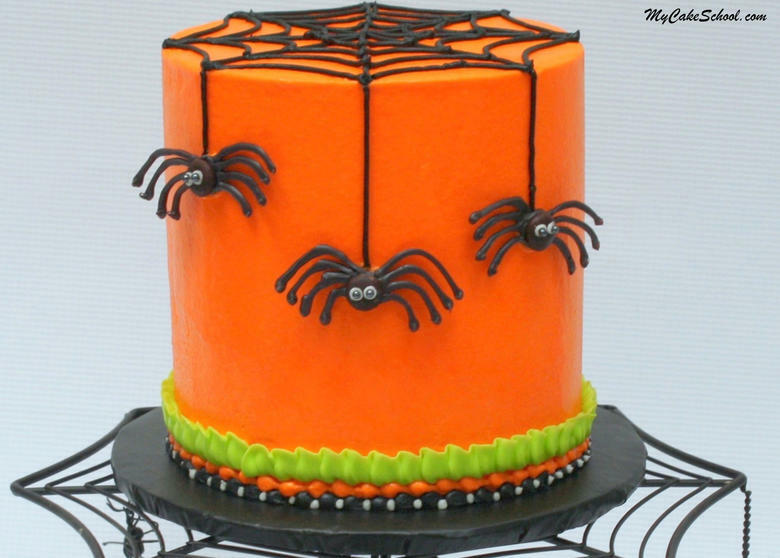 In this Free Halloween spider cake video tutorial, learn to create creepy chocolate spiders and a buttercream spider web! MyCakeSchool.com. 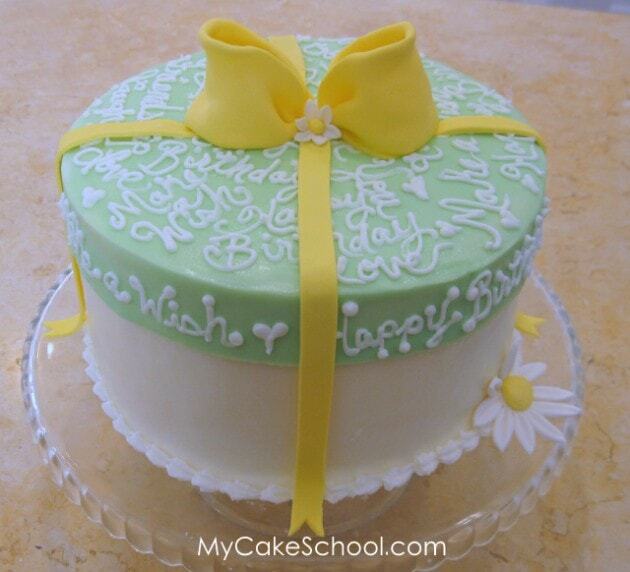 In this free cake decorating tutorial by My Cake School, you will learn the secret to making a cake with a buttercream frosted lid!